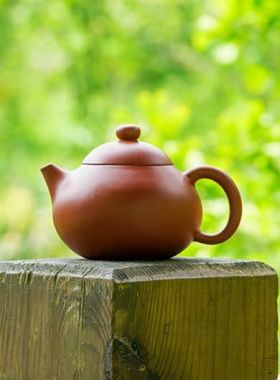 A classic style of Yixing Teapot that is favoured by Yixing Teapot lovers. In late Qing Dynasty, people came to Yixing to order teapots as presents for social communication. The most popular Yixing teapot at that time is the Pan. The Pan Teapot was an exclusive design ordered by the Pan family, which had the habitude of drinking tea every day. 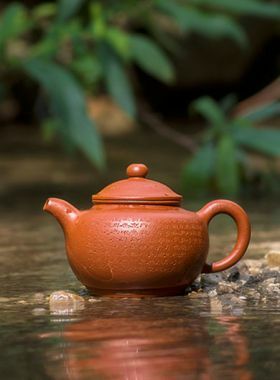 Made of Zhuni, this Handmade Yixing Zisha Teapot appears in red color with a light orange hue and looks fine and smooth. 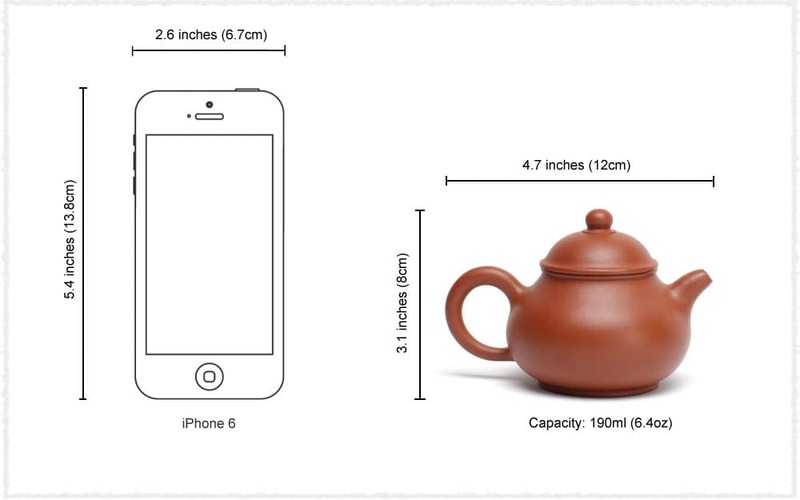 The teapot is simple and unadorned yet elegant and quaint. 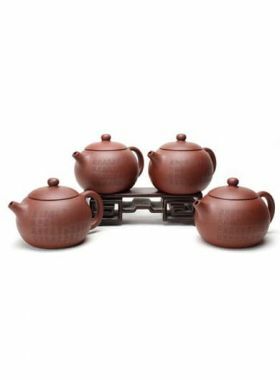 The teapot presents distinctive double pore surface covered with tiny corrugations on it, which makes the teapot able to breathe and reserves fragrance of tea. 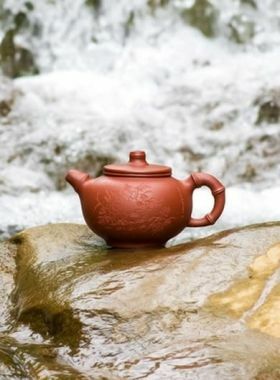 Note: Warm the teapot before pouring boiling water promptly into it, for Zhuni has high constriction percentage and cannot resist instant temperature change. The maker of this teapot is Sun Wen who is a young female potter. She was born in Dingshu Village, Yixing in Jiangsu Province which is famous for pottery. Her Parents are experienced potters. From her childhood she was interested in the art of Yixing purple clay and likes innovation and always studied hard to constantly improve her own workmanship. The shape of the teapots made from her are of quaint and the style is elegant. She carves the words and pictures on the teapot, so the teapot becomes gentler. Yixing County, the Pottery Capital of China, has a very long history of pottery making for around 6500 years. Yixing boasts abundant resources of argil, tea, bamboo and charcoal, all of which build the important material resource basis for making pottery. Yixing Zisha products have been awarded many prizes both in home and abroad, some excellent works have been presented as national gifts in international communications.